How Should I Paint My Tray Ceiling? 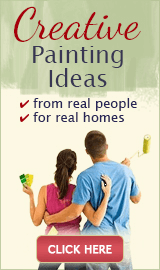 Question: I have always been really good at decorating and painting, but I have an area that I am totally stumped on! We moved into a condo - not many windows and none in the Living Room area. The ceiling in the Living Room is a tray type, with a fan coming down. If I paint the inside wall of the ceiling area (the sides of the "tray") but not the ceiling itself, what effect will this create, if any? Answer: There's at least 5 ways to paint a tray ceiling, and all are viable - it's just a matter of personal preference. So yes, you can absolutely paint just the inside wall area only. In fact, it's better to leave the ceiling itself white in your case (because there are no windows in the room) - a color on the ceiling may close in the space too much. If you use the wall color to paint the area around the ceiling, it will create a "layered" look and highlight the architectural structure. If you paint it with a bold accent color, it will draw all attention on itself, and become the first thing everyone will notice as they enter the room. I wasn't really sure what a "Tray Ceiling" was when I read this. In case others are also unclear, here's what I found out. A tray ceiling is a an inverted or recessed ceiling designed to create an illusion of additional height. It is often found in dining rooms, living rooms and hallways and frequently incorporates lighting elements. 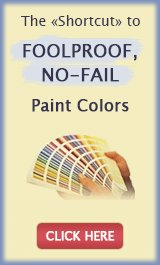 What is a good paint color for a tray ceiling? My walls are white in my bedroom, which makes my room feel bigger. What is a good calming color to paint the tray?